The GCR is South Africa's economic heartland. 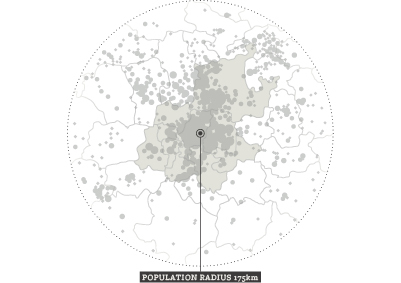 It holds 14.7million people and generates a third of the country's GDP, on 2% of its land area. The Gauteng City-Region Observatory (GCRO) builds the data and analysis to help inform development in this region. The Gauteng City-Region Observatory (GCRO) is a partnership between the University of Johannesburg, the University of the Witwatersrand, Johannesburg, the Gauteng Provincial Government (GPG), and organised local government in Gauteng (SALGA-Gauteng). The GCRO helps to build the knowledge base that government, business, labour, civil society and residents all need to make the Gauteng City-Region competitive, spatially integrated, environmentally sustainable and socially inclusive. The GCRO collects data and benchmarks the city-region, provides policy analysis and support, undertakes applied research, and publishes critically reflective academic work. Gauteng Province (GP) is South Africa’s smallest but most densely populated province. 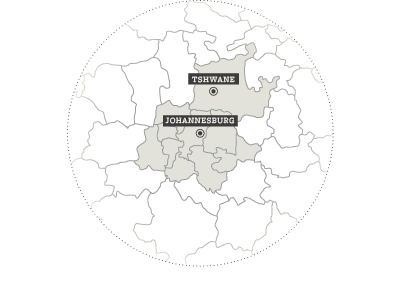 Gauteng includes the cities of Johannesburg, Ekurhuleni, and Tshwane, and the district municipalities of the West Rand and Sedibeng. Once a mining and industrial centre, Gauteng is now South Africa’s commercial and financial capital, generating close to 34% of the nation’s GDP. According to the South African Census, Gauteng was home to 12,2 million people in 2011. 2018 estimates indicate population growth to 14,7 million people. The province hosts a dynamic mix of languages, cultures and entrepreneurial energies, but is beset by high levels of inequality. Overcoming past injustices is a primary challenge for government in the region. Due to the alignment of data and research to political boundaries, Gauteng Province is a major area of study for the GCRO. The Gauteng City-Region (GCR) includes those towns and cities that fall outside of Gauteng’s borders but are tied to Gauteng through various infrastructure, movement, and economic networks. These include places such as Rustenburg, Emalahleni, Potchefstroom, Sasolburg, Witbank and Secunda. Removing political boundaries from an urban landcover map clearly demonstrates the interconnected GCR conurbation. A useful delineation of the GCR is a 175km radius drawn from the centre of Gauteng. This line includes close to 17 million people. The GCRO is committed to sparking city-region wide debate, and informing policy and planning, in a way that ensures a more cohesive approach to developing South Africa’s urban core. This site is best viewed in the latest version of Google Chrome or Safari.